Someone emailed and thought that my #2 grandson beside the zebra below was a recent photo. 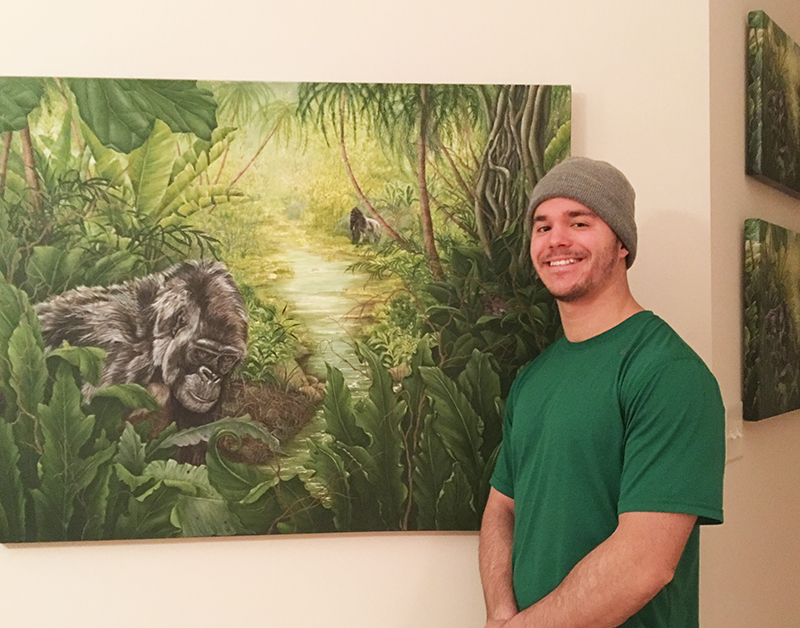 This is a current photo taken last week when he stopped by to retrieve his painting which was on loan for my Open House. He’s grown to be a very cool young man. 3 comments to About that little grandson of mine with the zebra . . .
LOL Thanks Barbara, Just when you think you have all your ducks in a row and hit send . . .
Glad you liked it! We were so busy at the Open House that I didn’t get his pic while he was looking quite dapper. Happy Painting! 301 Moved Permanently https://www.918online.today/4d-malaysia/ – More info!..